Welcome to Tech Tools Tuesday. Do you drive for business? MileIQ is an app that helps you turn those miles into money back in your pocket by helping you track your mileage tax deductions. In this edition of Tech Tools Tuesday, we’re talking windshield time and mobile phones. Not texting while driving! If you haven’t been tracking your mileage for work, MileIQ CEO Chuck Dietrich can give you 6,500 reasons to start. While there are several scenarios in which mileage can be deducted from income taxes, self-employed people have access to the highest deduction rate and fewest restrictions. For 2015 tax filings, the self-employed can claim a 57.5 cent deduction per business mile. Those miles could be racked up from meetings with clients, agents, travel to secondary work sites, events or errands to pick up supplies for your closings or agent meetings. Employed workers who don’t get reimbursed for mileage from their company can deduct it when filing their federal income taxes. Mileage for off-site meetings, conferences and training sessions can all be deducted. Tracking every drive can be a tedious process when done with a pen and paper, but technology like MileIQ is making it easier. 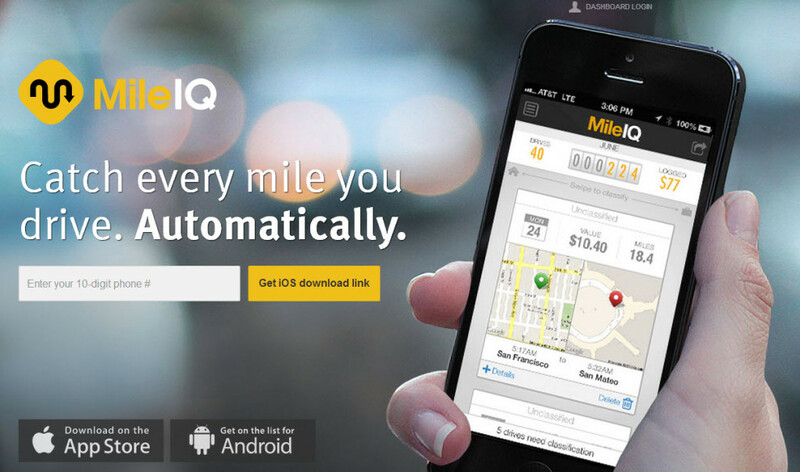 MileIQ automatically detects your travel distance and logs every trip. Users can then categorize their drives by purpose and run reports to document deductions. Other apps, such as ItsDeductible and QuickBooks, have features to track mileage, but these may require users to manually input trip information. Mileage can add up to a hefty deduction for Loan Officers and Real Estate Agents, but the IRS has specific rules regarding when and how it can be claimed. If you are uncertain about the deductibility of miles, consult with a tax professional who can evaluate your situation. Why not share this app with your agents? It’s a great way to add value and let them know about a simple way to add money back in their pocket. And who doesn’t appreciate money saving tips?